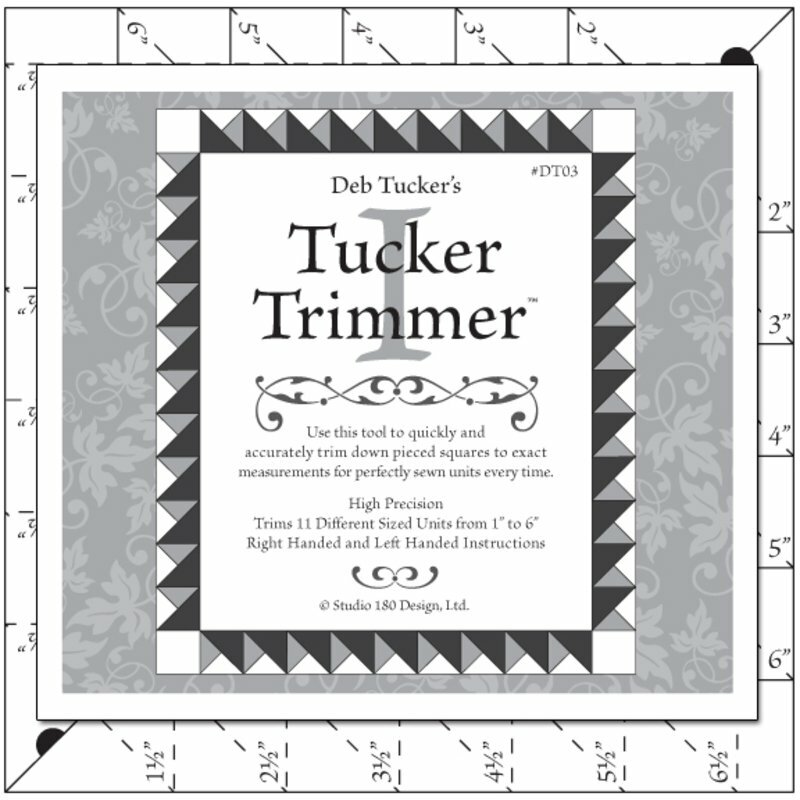 The Tucker Trimmer tool was designed to help quilter’s quickly and easily trim down units that are made with triangles - half square triangle squares, quarter square triangle squares (hourglass units), and combinations of half square and quarter square triangle squares (combination units). It has multiple diagonals which allow you to align ruler guide lines with unit seam lines to quickly locate the exact center of pieced units. This makes trim down easy,precise, and perfect every time. No more figuring, or guessing, or struggling to find a center point, and you can see it demonstrated on our free online video demo. I use it for much more than just trimming however and consider it my “Power Tool" every time I head to my cutting table.